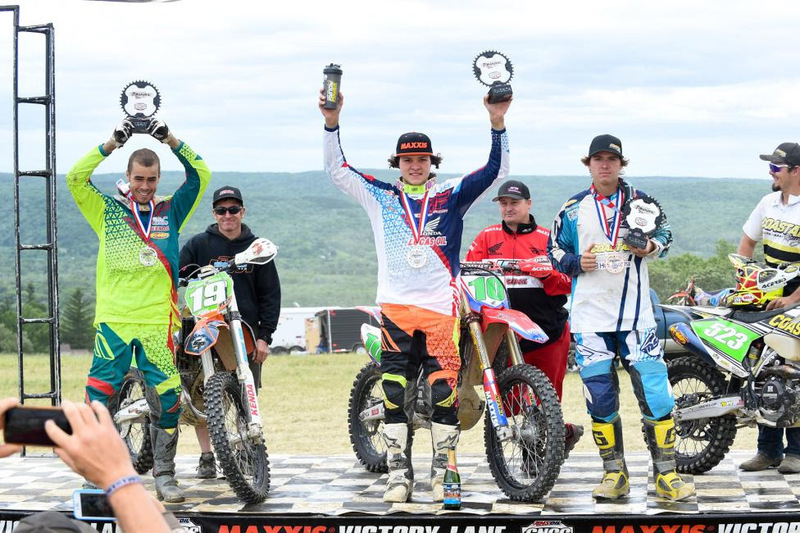 ODESSA, N.Y. - The 2016 AMSOIL Grand National Cross Country (GNCC) series presented by Maxxis, an AMA National Championship, continued today, June 12, with the second annual Dunlop Tomahawk GNCC. 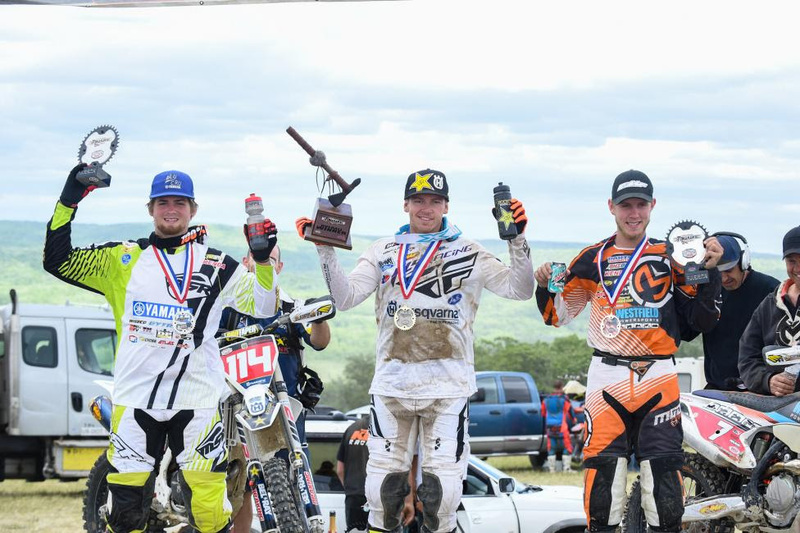 Racers and fans from across the world converged in Odessa, New York to witness Rockstar Energy Husqvarna Factory Racing/Bel-Ray's Josh Strang claim the coveted win. When the green flag waved SRT/KTM/Kenda Tires' Cory Buttrick found himself getting a quick jump off the line and earning the $250 All Balls Racing Holeshot Award, but it wouldn't take long for Strang to transition in the lead as they entered the woods. Meanwhile, FMF/KTM Factory Racing's Kailub Russell and Westfield Powersports KTM Presented by Moose Racing's Jordan Ashburn both struggled to get off the start and were buried toward the back of the pack. Strang continued to hold onto the lead as they checked through timing and scoring for the first time after a quick lap. Rocky Mountain ATV*MC/KR4 Arrive-N-Ride Team's Thad Duvall and FMF/KTM Factory Racing's Russell Bobbitt trailed in second and third. The dusty conditions began to take their toll when Duvall faced an unfortunate situation in an open field section when he was clotheslined by a string that was marking a turn. This incident put Duvall back into eleventh. Russell slowly started reeling in Strang around the halfway point of the race where he was only fifteen seconds behind. N-Fab/AmPro Yamaha' Grant Baylor and Ashburn also settled into a battle in the latter half of the race for the last podium position. After switching back-and-forth multiple times Baylor was able to hold the position once lapped riders came between them. Once the white flag came out it was an all-out battle between Strang and Russell with only six seconds separating the pair. Russell was able to work his way around Strang, but not even a mile later Strang was eager to get back in the lead. The two came together during the pass ultimately taking both of them out. While Strang was able to quickly recover, Russell faced a mechanical issue which left the defending champion unable to finish the race. "I got off to a quick lead and I think the dust helped me get a gap," said Strang. "Kailub started to catch me on the last two laps and then was right on me on the last lap. Around the six mile marker we had different lines and he came up next to me and we rubbed and I backed off and he passed me. Then about a half mile later the same opportunity came up where I was able to get up next to him and we both came together and got tangled. He hit a tree and then I hit the next tree in line. I'm not a dirty rider but that's racing. We both want to win, and it's unfortunate that it had to be this way." Ashburn stayed consistent and kept charging in an attempt to catch back up to Baylor. A mere second would separate them as they crossed the finish line in second and third. Both riders have had their fair share of issues this season, but proved today that they will be overall contenders for the remaining five races. 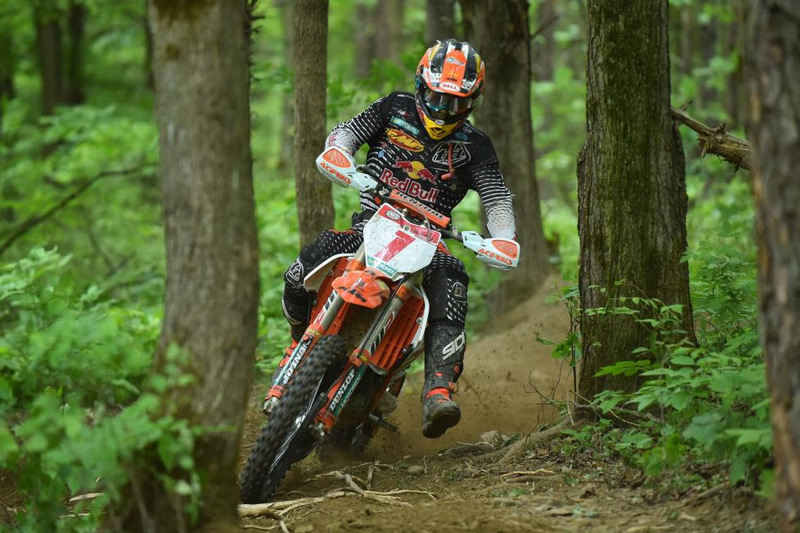 "I've struggled big time in the GNCC series all year long," said Baylor. "Ever since I sunk my bike in Florida it's went downhill from there. I'm still trying to bounce back from both my injuries this year. It feels great to be back on the podium where I know I belong, but I wish I could have been up in the front battling for the lead instead of third. I came out with second so I can't really complain because it feels like a win after how this season has been going. I'm really happy with today's results." "It's been a struggle this year and I've just had some stuff happen that I wasn't sure how it even happened," said Ashburn. "It's been a learning year and we are still learning and every race we just keep progressing and working our way to be on the podium week-in and week-out." MCS Racing Suzuki/Obermeyer/Kenda/MX Tech/Fly Racing's Ricky Russell hung right with the top racers today finishing just off the podium in fifth overall and fourth in XC1 Pro. Bobbitt followed in fifth and eighth overall. In the XC2 Pro Lites division Coastal Racing/Husqvarna/MSR's Craig Delong grabbed yet another $100 Hot Cams XC2 Holeshot Award with his teammate Layne Michael right behind him. The lead position continued to be exchanged between Michael, Delong and Solid Performance KTM's Jesse Groemm. However, JCR Honda/Lucas Oil/Maxxis/FLY Racing's Trevor Bollinger had to work his way through nearly the entire class to take home his sixth win of the season. Groemm and Michael crossed the line in second and third, and Delong would finish just off the podium in fourth. Trail Jesters Racing's Josh Toth finished in a solid fifth place. "I had to kick my bike seven times on the start before it would start," said Bollinger. "It was tough to make up that much time. The woods were good, but the fields were super dusty. You just had to be smart on the first few laps. Once I got with Craig we were rolling pretty well and eventually I was able to bring it on in." Chris Venditti took home the $125 American Kargo Top Amateur Award with his 23rd overall finish. Zack Nolan and Loic Leonard rounded out the amateur overall podium. After a rough couple of races FLY Racing/Maxxis/Seat Concepts/Yamaha's Becca Sheets came out on top in the 10 a.m. race with the overall and WXC victory. FMF/KTM Factory Racing's Kacy Martinez followed in second overall and 125 B/C competitor Haden VanCuren rounded out the 10 a.m. overall podium and earned the overall amateur honors with his seventh place finish. Bonzi/RideMPS.com/Yamaha's Brooke Cosner placed third in the WXC class. The two-wheel racing action kicked off bright and early this morning with the 8 a.m. youth race. After starting on the second row, Zack Davidson rode an impressive race earning not only the Super Mini Jr. (12-13) division win but also the overall on adjusted time. Hunter Riemer and Benjamin Wright followed in second and third. The 1 p.m. race was broadcast LIVE in its entirety on RacerTV.com and can be viewed as an archived video now by visiting the GNCC LIVE page online. 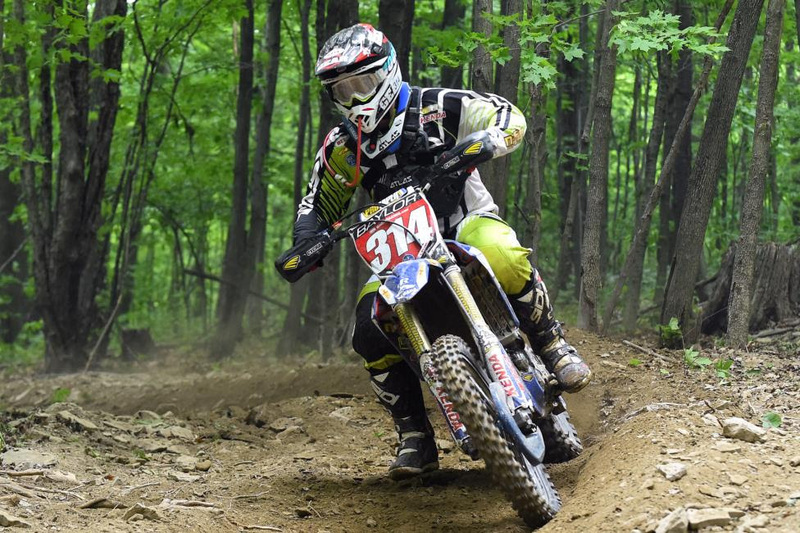 The 2016 AMSOIL Grand National Cross Country Series continues with round nine on June 25 and 26 with the popular AMSOIL Snowshoe GNCC held at Snowshoe Mountain Resort in West Virginia. For more information on the series, visit the official website atwww.gnccracing.com call (304) 284-0084. Join the conversation on the seriesFacebook page, follow us on Twitter and Instagram, and be sure to always hashtag #GNCCLIVE.